Most people, when asked to think of British luxury cars sold in North America, will probably think of Rolls Royce, Bentley, and Jaguar. If pressed, the older, nuttier types might remember Rover’s various attempts here, but it’s unlikely anyone will remember Humber, even though their cars were sold here from 1946 to 1967. 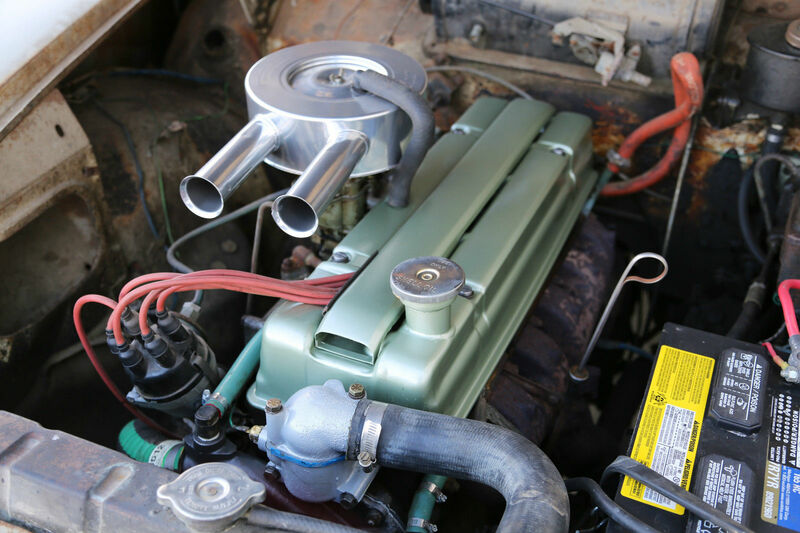 Humber was effectively the Rootes Group’s Rover, and in fact, there’s no clear differentiation between their strategies. Both offered conservatively-designed cars with luxurious interiors using leather, wood, and wool, and with a reasonably powerful, if old-fashioned, six cylinder engine. In fact, when Chrysler acquired Rootes, several attempts were made to fit the Chrysler V8, just as Rover had adopted the American Buick V8. If anything, the Humber was more conservative than Rover, retaining styling cues well into the sixties that were influenced by 1950s American cars. 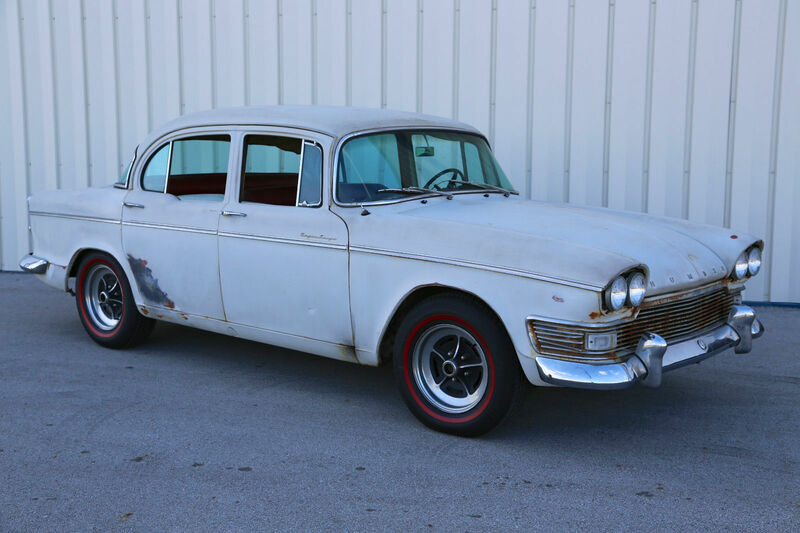 You can find this 1961 Humber Super Snipe for sale in Ames, IA with a starting bid of $2500 and 6 days left to go. Funny enough, this car looks kind of tough with its faded paint, rusty stains and Buick Riviera wheels. This angle seems to emphasize the front overhang – is it really that pronounced? 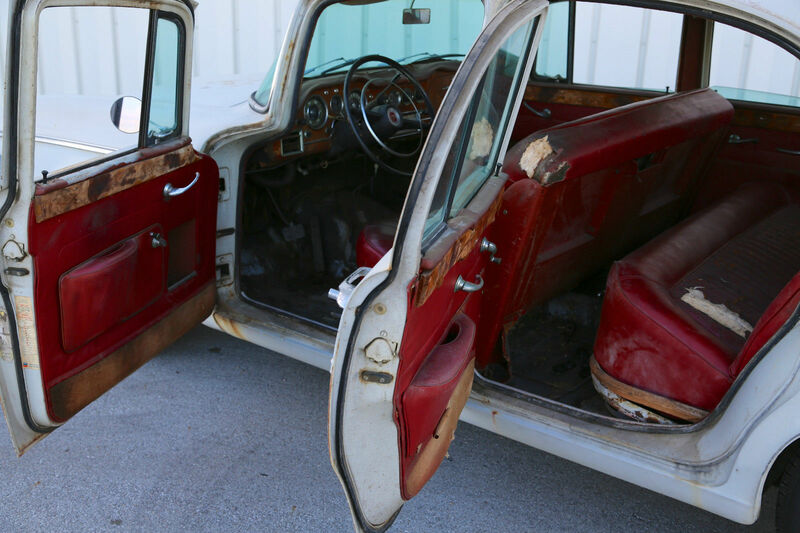 The listing features good quality, high resolution pictures which seem to show very little rust penetration on the body – could everything else also be this good, and if so, how did the car end up this way? The rear window almost looks like it was cut down after they realized they could save money by using less glass. If you’re unfamiliar with Humbers, one of their most unusual and vexing features is the location of the fuel filler – it’s under the driver’s side rear reflector! Has the seller adjusted the suspension? The car looks like it’s ready to pounce on the next unsuspecting Jaguar. It truly does look to have been a luxurious car in its day, although at this point the front seat looks like it was recovered in vinyl ages ago, and it looks like some rear-seat tray tables have gone missing. The carpet is also absent, the dash pad is lifting, and the wood looks rough. All that considered, though, the interior is nearly complete and even has the original radio. The seller clearly had an irrational love for this car, and likely spent more than the car is worth. As a result, the car runs very well and the transmission shifts smoothly (and being a Borg-Warner, it may share parts with other manufacturers). The electrics, brakes, wheels, and tires have all been upgraded, so this car should be quite functional as a driver. 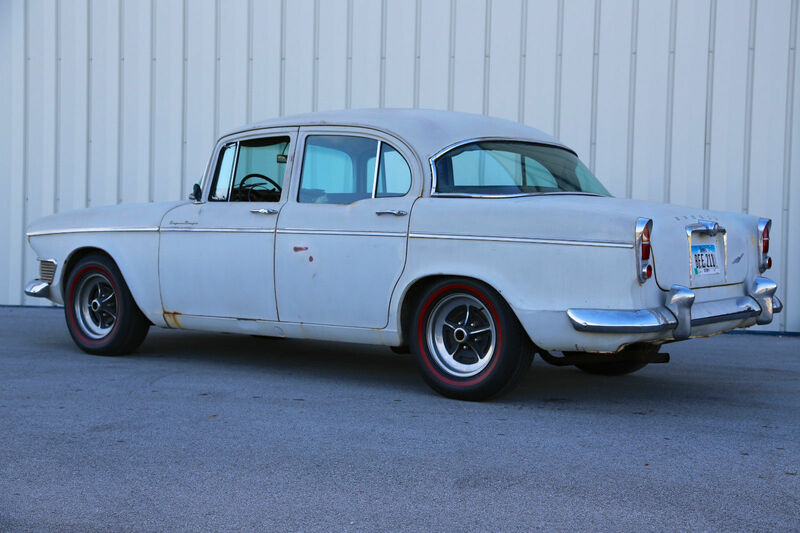 Eschew convention – don’t buy a common-as-muck old Rover, buy this Humber instead! This entry was posted on November 19, 2013 at 2:44 pm and is filed under Feature. You can follow any responses to this entry through the RSS 2.0 feed. You can leave a response, or trackback from your own site. It kind of looks like a shrunken Checker Marathon.